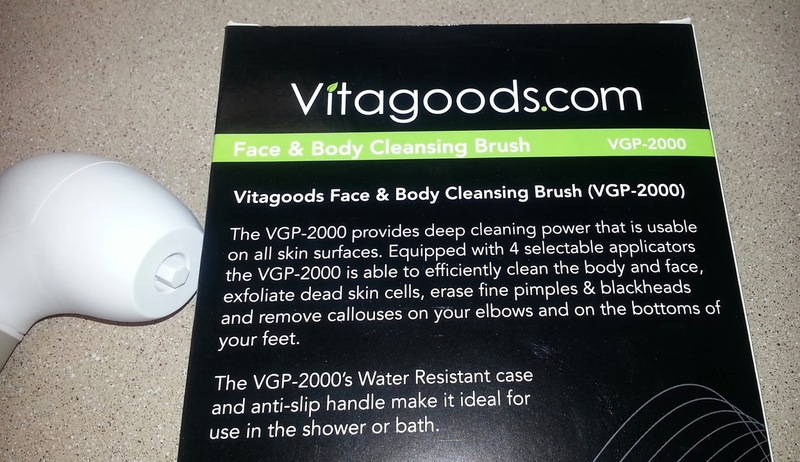 When VitaGoods contacted me about trying their Massaging Shampoo Brush, I was excited to try it out and share with you all. Today I'm even more excited to share the second of four upcoming reviews of a few VitaGoods products. This review is going to take a look at the Spin for Perfect Skin Brush. I'm an advocate for clear skin so when it comes to skincare systems and brushes, I put them to the ultimate test. 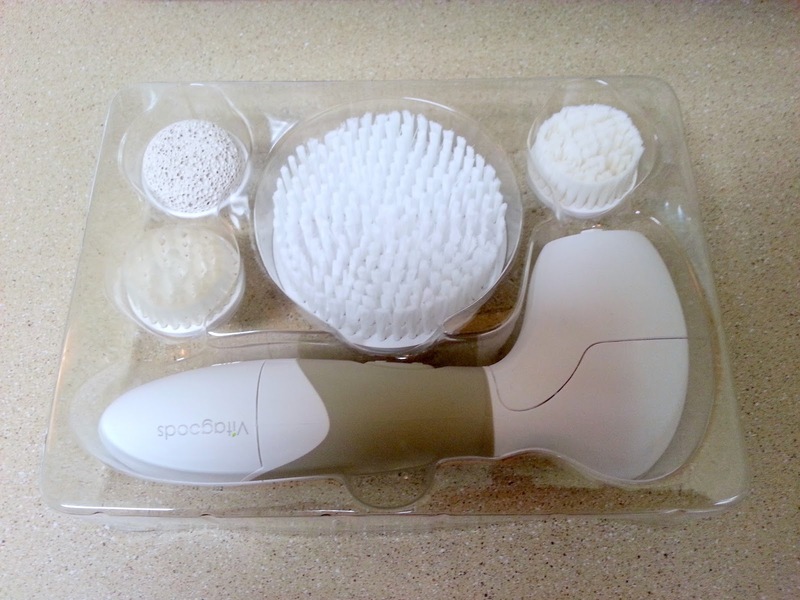 So, let's jump in and learn more about the Spin for Perfect Skin Brush! 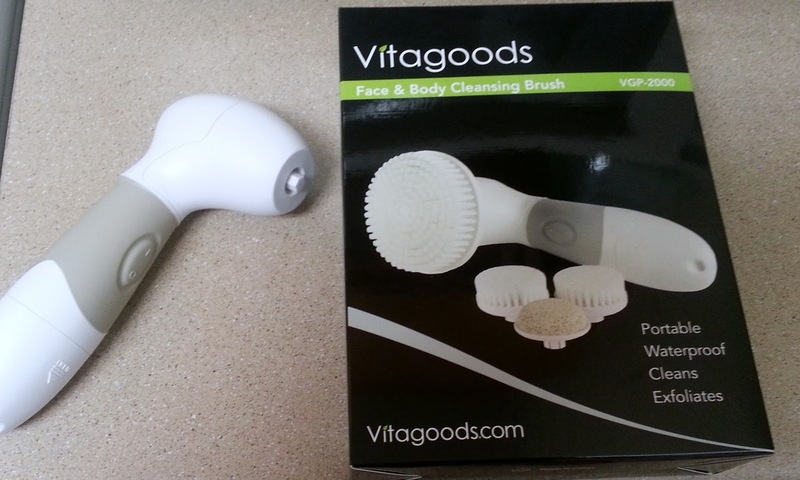 Experience the benefits of an enhanced cleansing and exfoliating routine with the Vitagoods Face & Body Cleansing Brush. An enhanced cleansing and exfoliating routine leaves the skin healthier, feeling smoother and looking more radiant. 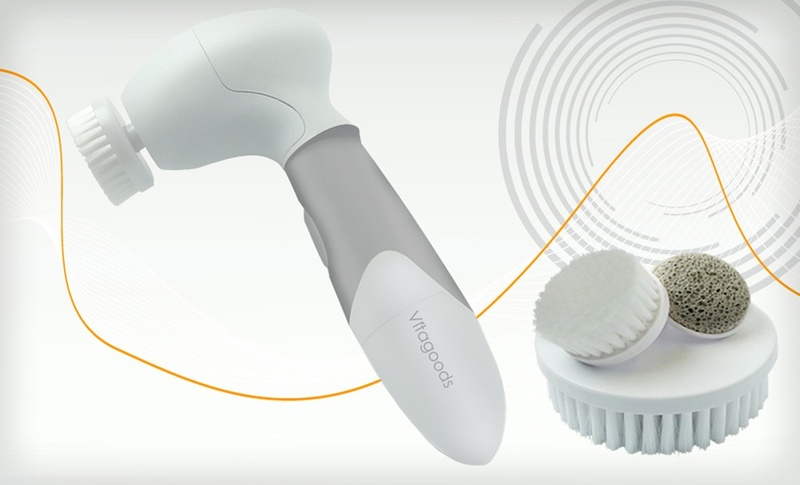 A powerful and safe rotary action gently spins the head of the Vitagoods Face & Body Cleansing Brush to thoroughly cleanse, exfoliate and lift dirt and oil trapped in pores. Gentle and effective, the micro-massage movement of the head stimulates and invigorates the surface of the skin. The brush targets the removal of unwanted particles that may normally be left behind when washing with your hands, to improve skin surface. I know many of you may be wondering if I am going to compare this device to another review I have done recently. Since I want to outline my thoughts on this alone, I will not do comparisons; however, that may come in a future post. As for my thoughts with this brush, I have enjoyed using it. My skin looks radiant after using it every other night and even more so in the morning. It has helped keep my skin smooth. The two things I noticed immediately about this device were the regular retail price ($99.99) and that it does not come with batteries. The price surprised me because I have seen other retailers selling similar devices for a cheaper price. Also, although I know most devices do not come with batteries, some do provide the first round of batteries for you to use with the device. Perhaps an infrequent luxury, but I feel it would have been a great addition with this device. I would certainly recommend this device with the discount code below. I feel that it does do an excellent job in cleaning your skin. However, at regular price, I feel it's too costly. With the discount code, you can save 60% on the Perfect Skin Brush making it $39.99. Have you heard of VitaGoods? Would you give this product a try? This brush sounds amazing, I'm trying to improve my skincare. However it is a bit pricey. Hey hey I have to try it out! I ALWAYS wanted to give this a try its on my Christmas List! There is currently a deal for this on livingsoical.com. You can get it for $32...use the coupon code of melt20 for 20% off. Which makes it $25.60 and free shipping! Great Deal! I have one of these & I've been using it for a couple weeks now & my skin is a constant breakout & I never really had many issues with breakouts previously except during that time of the month which was what I thought was causing this breakout but that's gone & I'm still getting new pimples every single day. I bought it on a Groupon for $17 thankfully...if I have to stop using it that's not too much cash to throw away. I'm going to try a different cleanser first though, perhaps the one I'm using isn't compatible with the brush? Hey there! Thanks for stopping by and commenting! I'm sorry that you are experiencing break outs right now. I will say that there could be a combination of things going on right now. 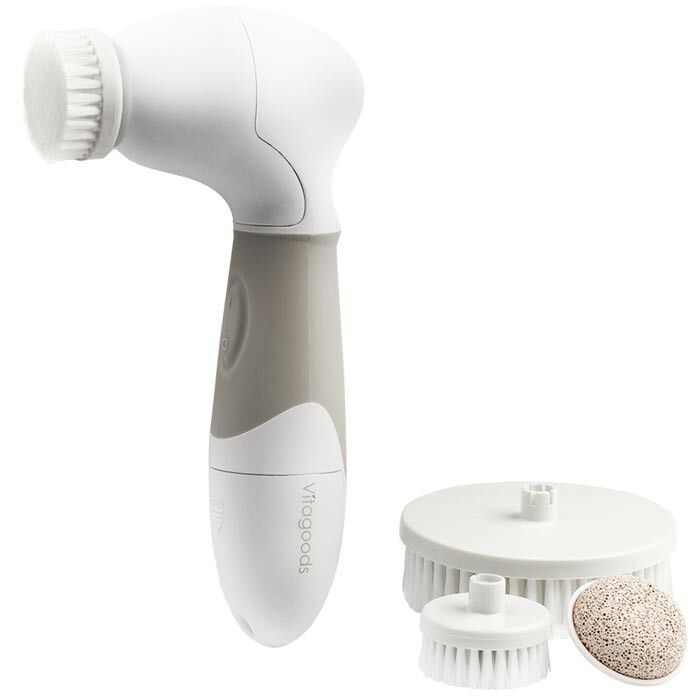 One, I have always been taught that when you begin using a deep cleansing brush like the spin brush, your skin goes through a purging process. So in the first few weeks of use, things deep down in your pores will be coming to the surface and causing breakouts; however, if this is what is happening, it goes away soon. Also, it may depend on the sensitivity of your skin. I have combination skin and I can't use my spin brush every day. At most, I use it every other day and only at night. Sometimes your skin doesn't need it everyday and unless you are really oily, I definitely would not suggest using it twice a day. As for cleanser, I really like using Neutrogena or Philosophy cleansers with it. They get down deep and are gentle. Hope this helps! Thanks! I do have mostly oily skin & I'm currently only using it 3 times a week...I recently spoke with friend who is a dermatologist & he said that a purging process isn't real yet my aesthetician says it is & I trust her more because a dermatologist just wants you to come in for those breakouts, not just ride them out! I will give it two more weeks with a more gentle cleanser (I've been using my scrub that I normally use with my hands so that could be the problem) & see how it goes. Thanks!! !